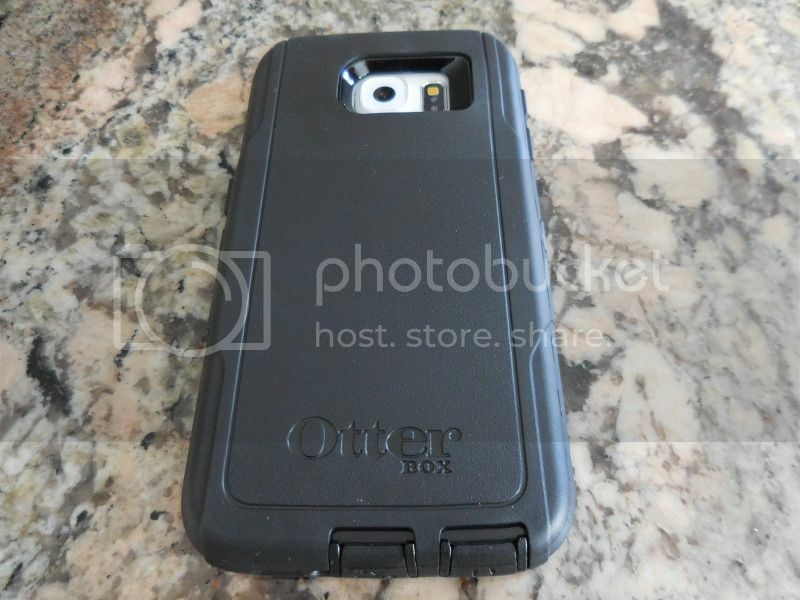 There is no denial, Otterbox is probably considered to be among the most popular brand names when it comes to smartphone cases. 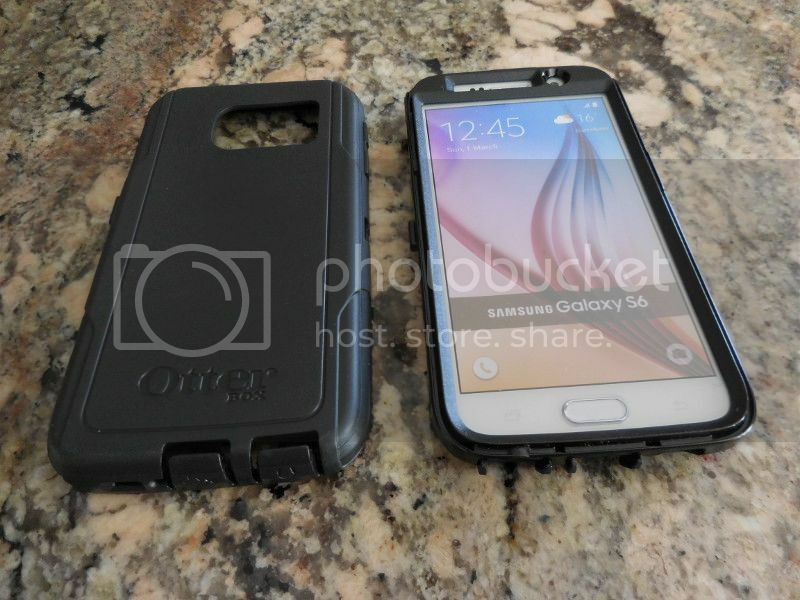 As a matter of fact “Defender” became part of our vocabulary referring to cases with tough multi-layer protection. 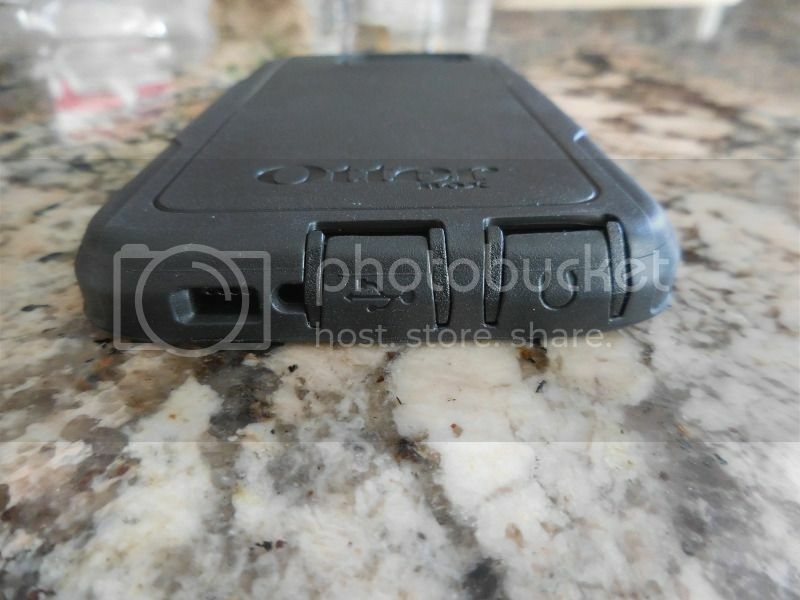 And even in todays highly competitive and over-saturated market of smartphone accessories, a lot of the people still put safety of their phones in hands of Otterbox. Here I got a chance to test their latest versions of Commuter and Defender series for Galaxy S6. 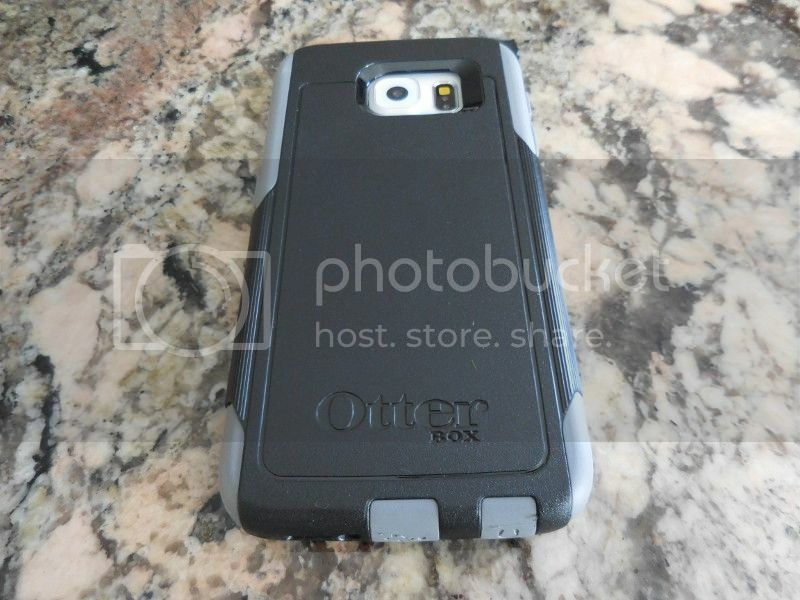 Typically, Otterbox retail packaging has a nice presentation inside of a plastic clear box. I’m sure most of you are familiar with it or have seen it at Best Buy or your local carrier store. Since I received my review samples directly from Otterbox, they came inside of separately labeled small plastic bags. But regardless of packaging you receive these in, I would recommend saving it along with your purchase receipt. 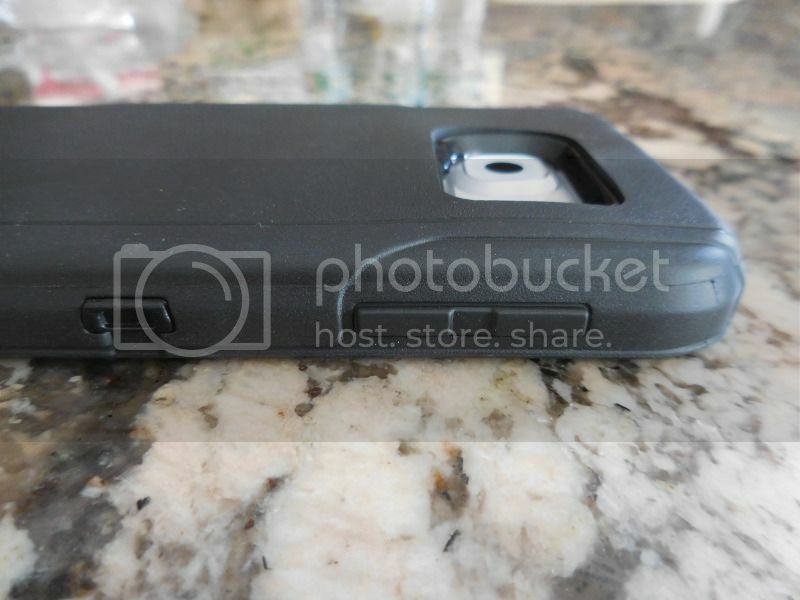 Otterbox warranty process is very thorough, and though it states “one year”, I know of situations when people submitted a claim with a picture of a damaged case and proof of purchase after warranty expired and were able to receive their replacement. True, you are paying premium, but you are also getting a reasonable support in return. More about the actual cases next. Starting with Commuter Series, you get a dual layer protection with an inner silicone shock absorption layer and an outer PC impact resistant layer. 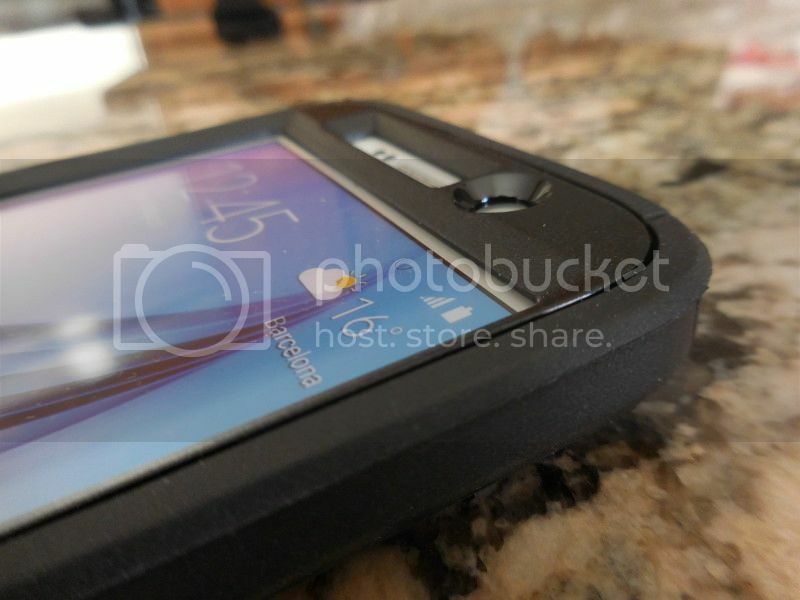 In addition, Commuter case also comes with a film screen protector, to protect your display from scratches. The inner silicone layer has sealed power and volume buttons to keep dirt and dust away, while still having a nice tactile response. Micro usb charging and headphone opening both have port covers to protect from external elements, though it also adds some pressure on the connectors when you have charging cable or headphone jack plugged in. From my personal experience, if this bothers you – you can always cut them off. 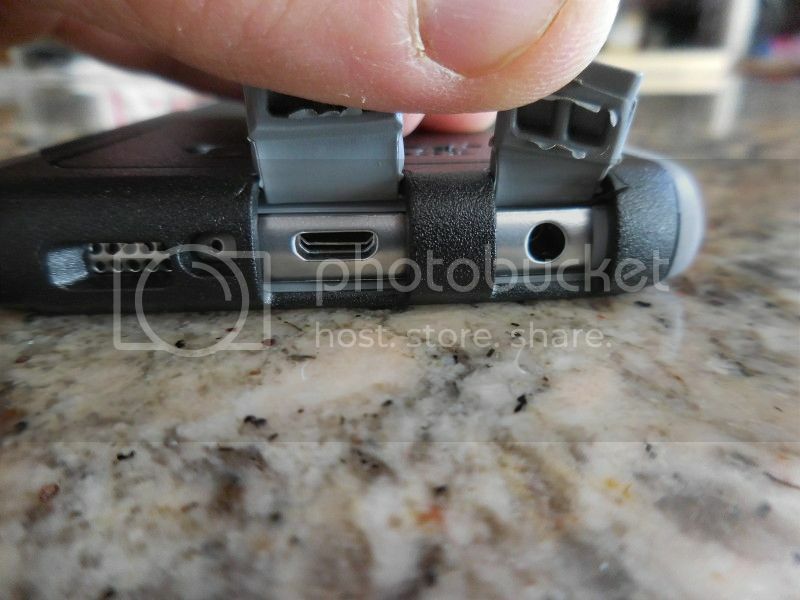 Other port openings at the top, bottom, and back of the case have precise cutouts and perfect alignment with S6. 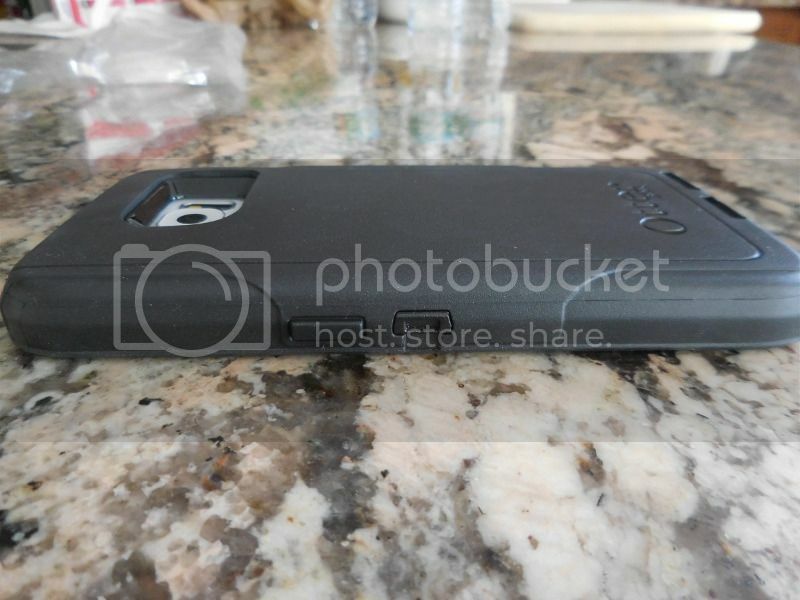 The assembly of the case is straight forward where you start with an inner sleeve, making sure phone is fully inserted, edges are covered, and power and volume buttons are alignment, and then apply the outer shell. 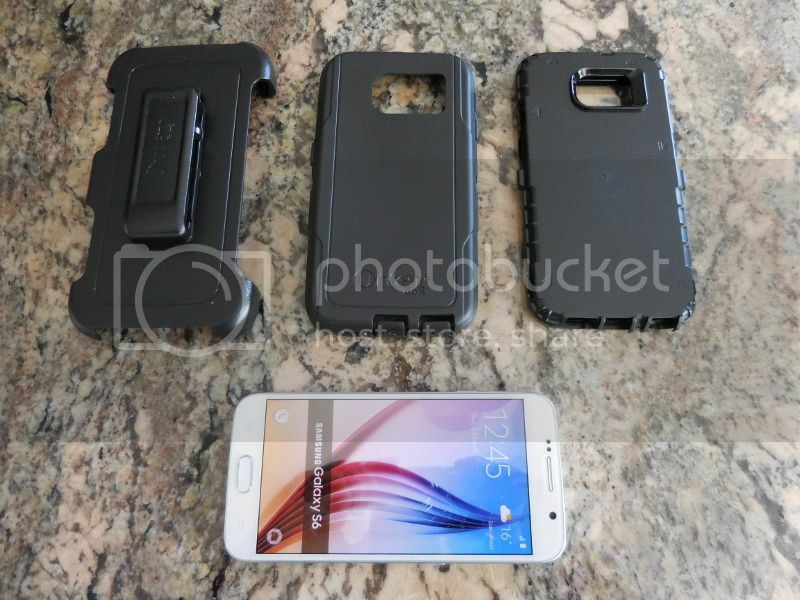 Once assembled, the case adds some bulk but at the expense of an additional protection. 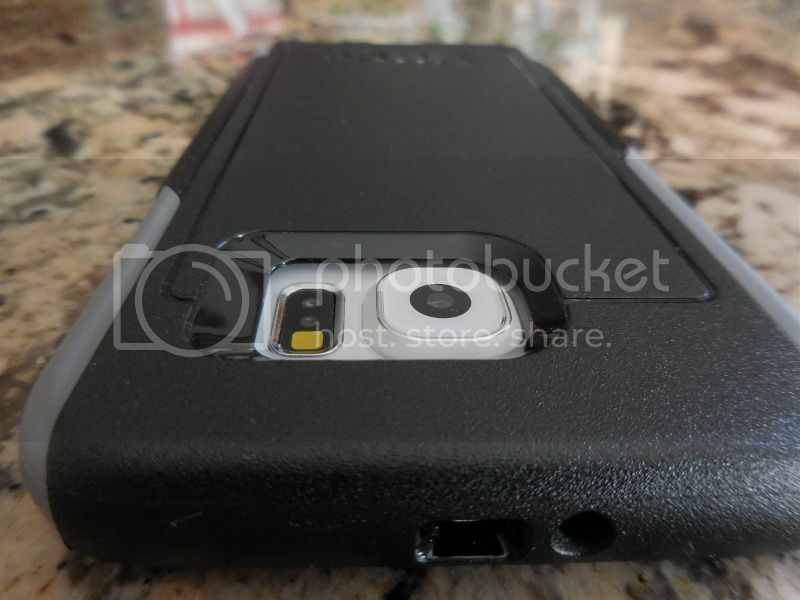 The inner silicone shell provides a decent front screen bumper allowing you to put phone face down. 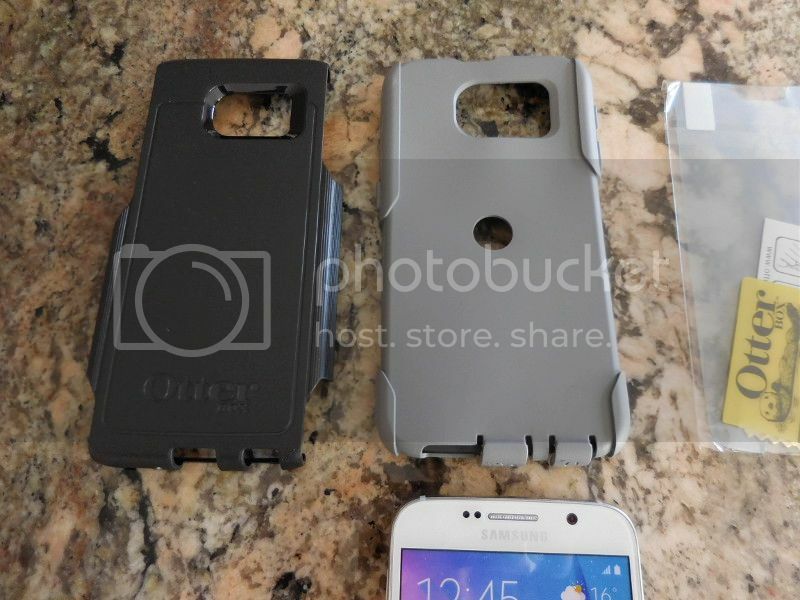 Also, you get a decent grip since outer plastic layer doesn’t fully cover silicone shell sides. Unfortunately, the outer PC shell is a bit slippery in your hands and could become a problem when placing your phone face up where it can slide off smooth surface if bumped. 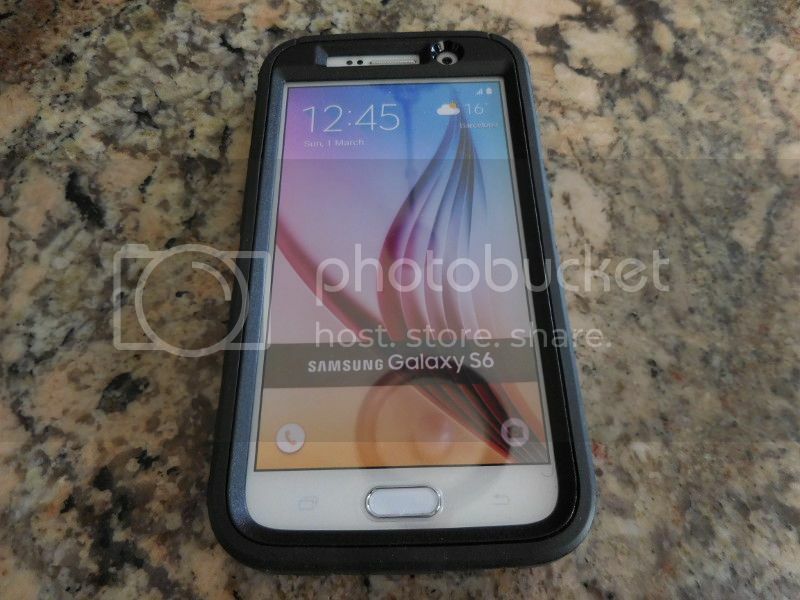 At the same time, smooth back cover means an easy way in and out of the pocket. 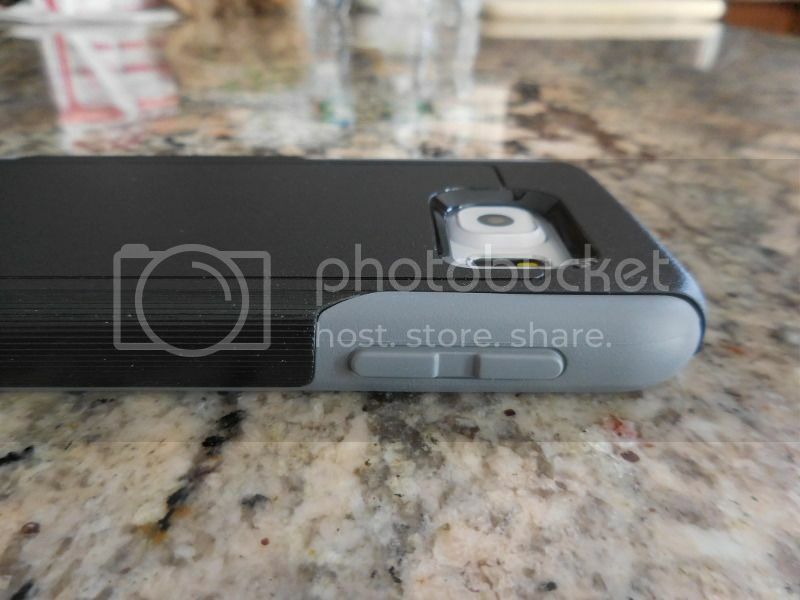 Another observation, this case works well with most of the film protectors and some thin tempered glass protectors where silicone bumper of the inner layers shouldn’t lift the edges off. While Commuter series is considered to be their “slimmer” version, Defender series adds some noticeable bulk with a full wrap around protection, but it’s too bad. Either way, it’s a price to pay for an ultimate protection – and that’s exactly what you are going to get! Starting with an inner interlocking PC shell you have a built-in screen protector and also another thin layer of shock absorbent material inside of that shell. 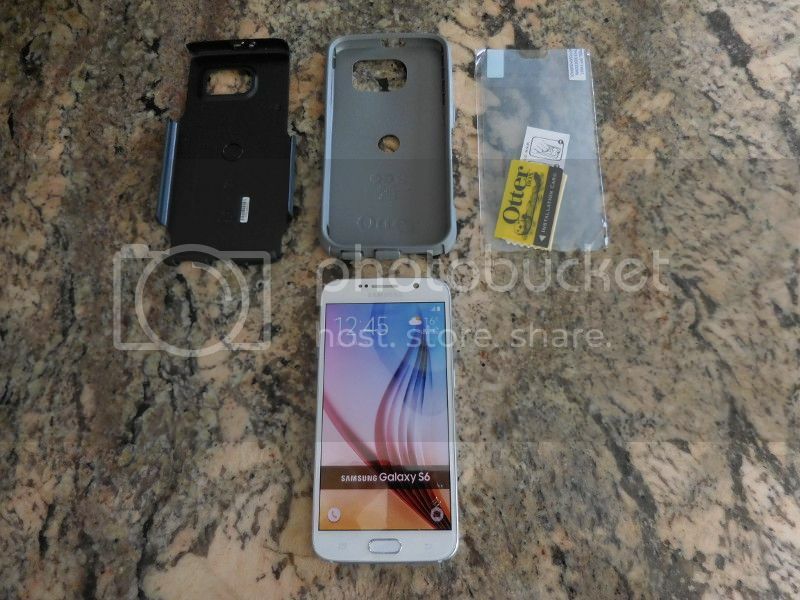 A built-in screen protector is film based and has a cutout for home button. The assembly of inner plastic case was a huge improvement over the previous Defender cases where tabs are a lot easier now to interlock and pull apart. On top of that, you have another silicone shock absorption layer placed over the PC shell. 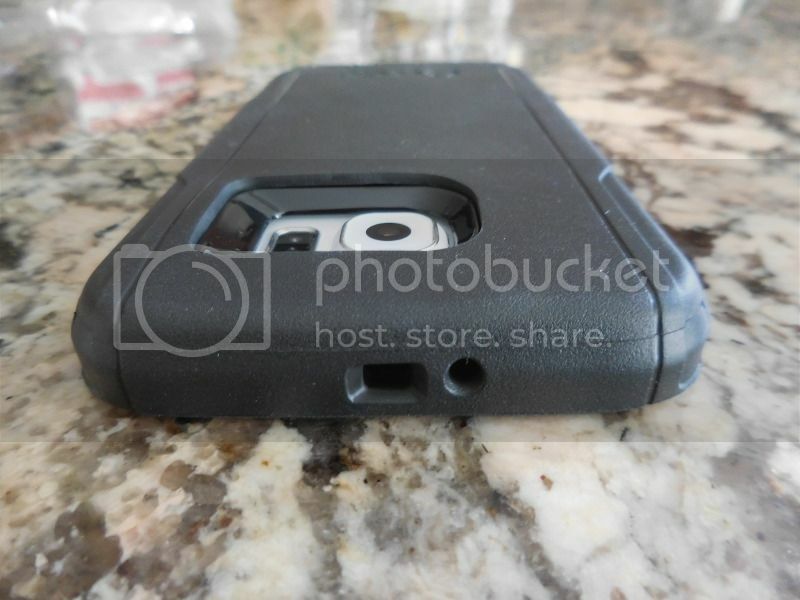 That piece adds another layer of shock protection and also significantly improves a grip. 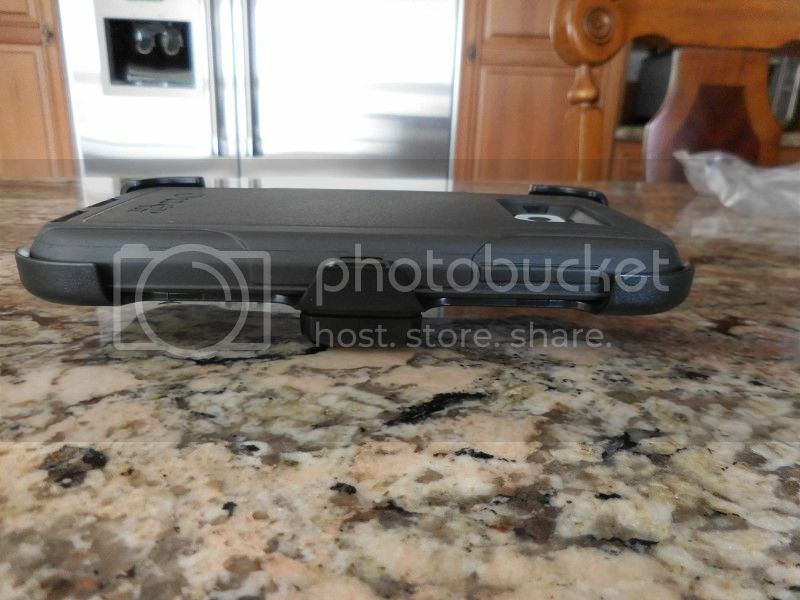 Also, you don’t have to worry anymore about your phone sliding off the surface when placed face up. Of course, facing down you also have a considerable amount of front lip to keep it off the surface. Just keep in mind this is just a film screen protector where any direct impact will not protect your display. 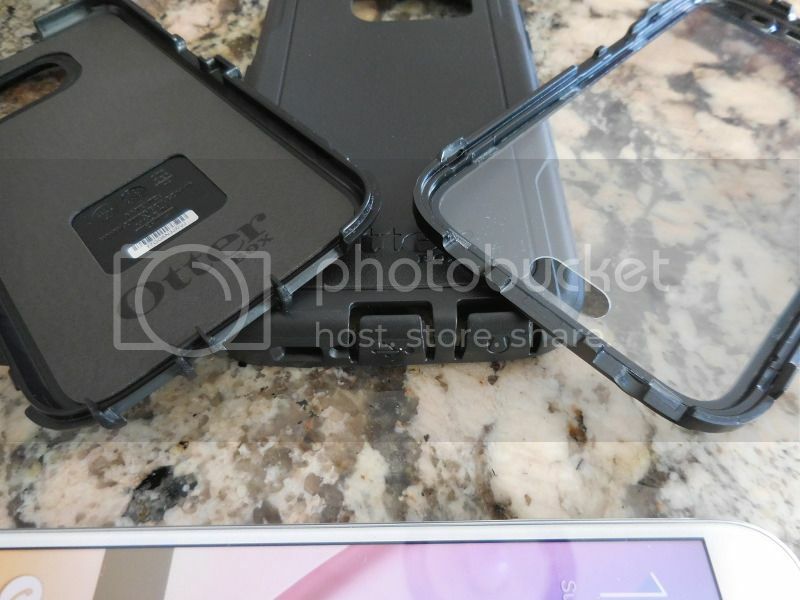 For that you will need a tempered glass protector, but with Defender you can only use a thin tempered glass to fit inside of the inner shell. Just like with a Commuter, Defender has micro usb and headphone ports covered and protected from any dirt and dust. Also, volume and power buttons are covered and have a nice tactile response when pressed. The rest of the ports have precise cutouts and perfect alignment. The only issue which still remains is micro-usb port opening being limited by plastic guards of the inner shell that allow only use of an average or narrow charging connectors. It’s probably not going to be an issue for majority, but I do have to acknowledge that some micro-usb cables with a larger connector might not fit. 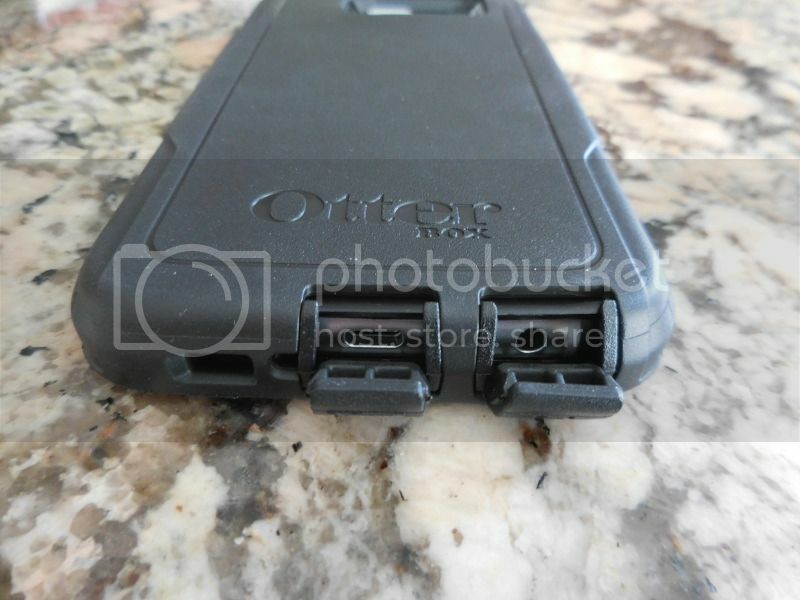 Last but not least, Otterbox also comes with a belt-clip holster which allows you to carry your Defender case attached to the belt. 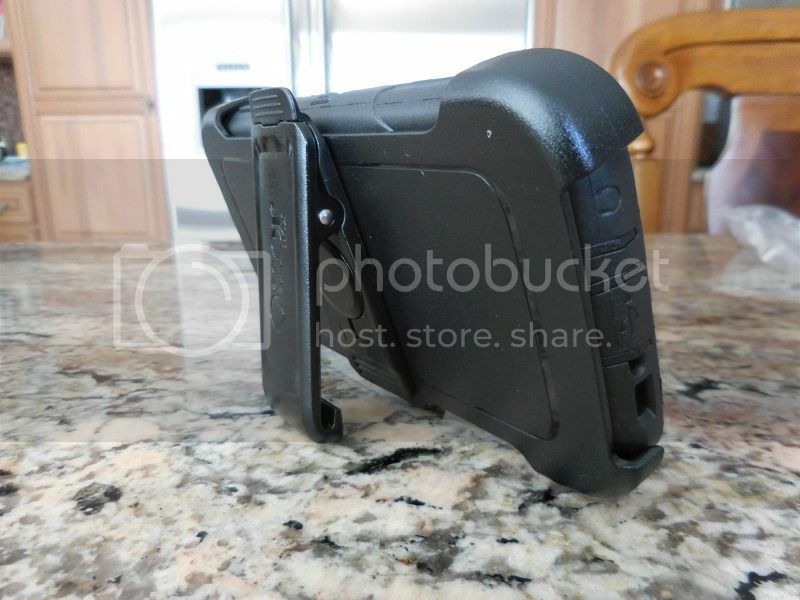 Belt-clip holster will come especially handy when you spend a lot of time outdoors. 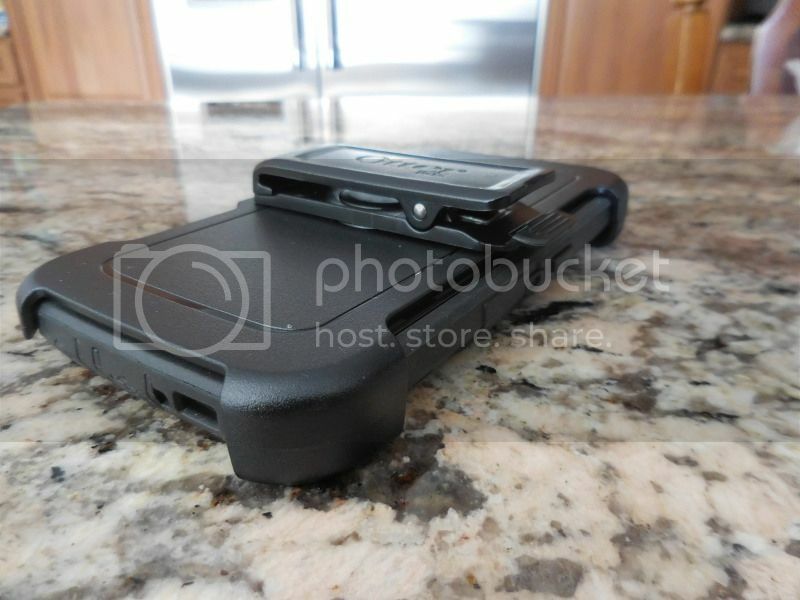 The Defender case fits inside of the holster both face in and face out. 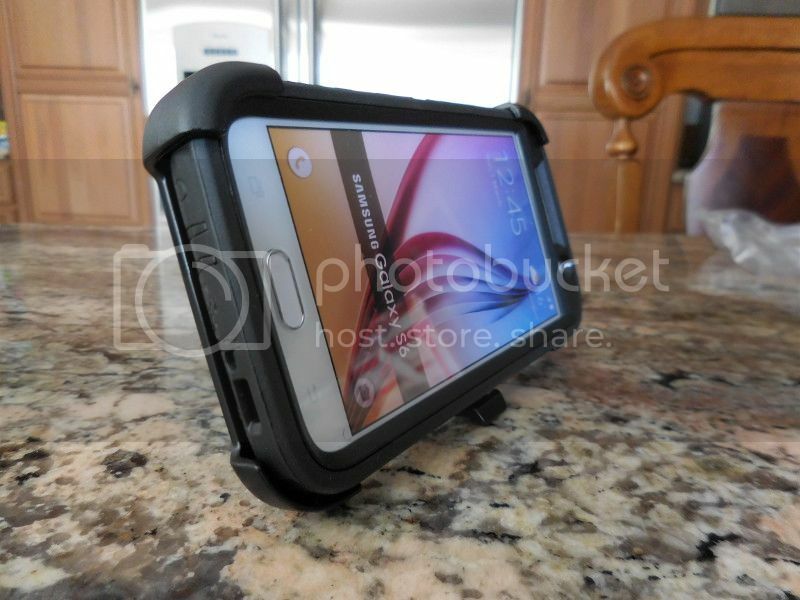 Typically for extra protection you would want to keep it face in, but there is also an advantage to place it face out since a belt clip locks in open position and doubles as a kickstand to place your S6 in landscape orientation to watch a movie or to play a video, etc. Overall, lately I noticed that people prefer to minimize and to slim down their cases. 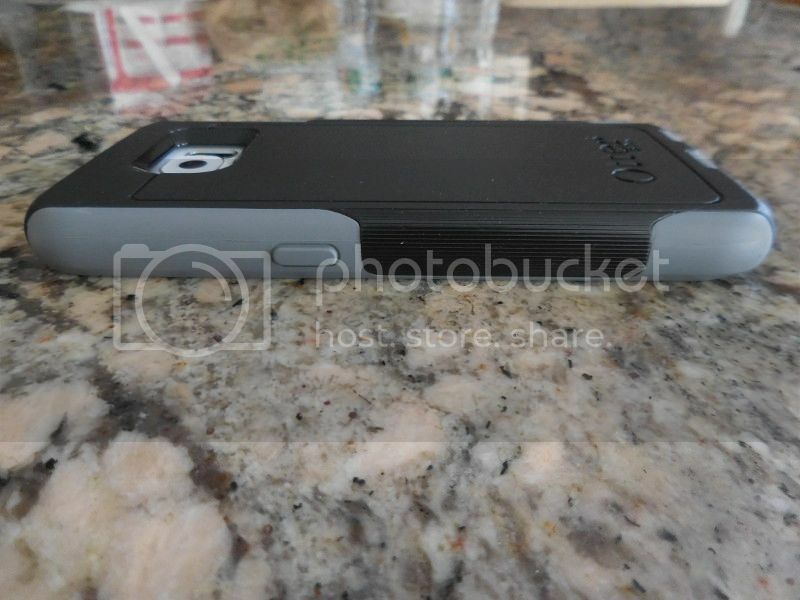 Even a slim case can enhance a phone grip and provide a very minimum drop protection. 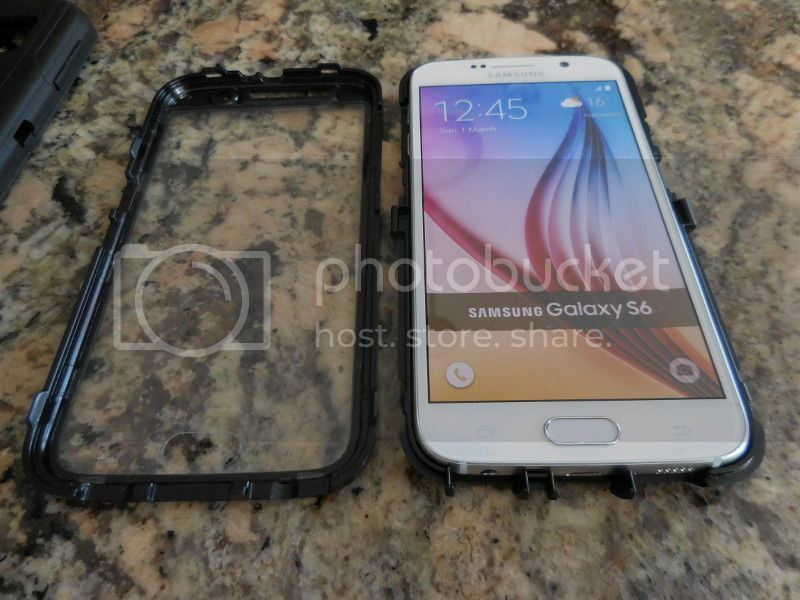 But it’s not enough if you are camping or hiking or work outdoors where your Galaxy S6 is going to be exposed to a rough handling. The choice between Commuter or Defender will give you some room to decide how much protection you need depending on your everyday activities, but regardless of your choice – both of the cases will give you a piece of mind with a decent drop protection. I know a number of people who got both of these cases with Commuter for everyday use and Defender for when they’re going on biking or camping. 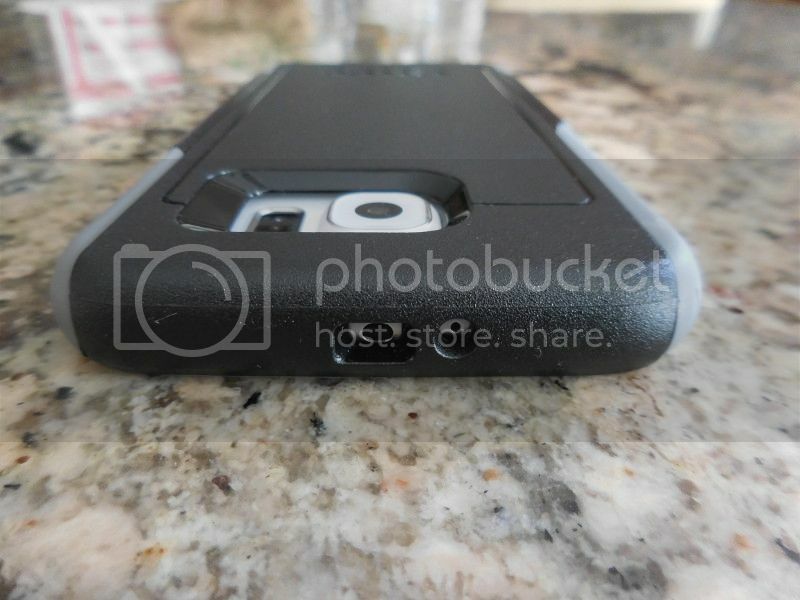 Of course, everything is up to a personal preference, but if you require a maximum level of protection – Otterbox cases should be on your list to consider. I bought the Defender on release of the S6. 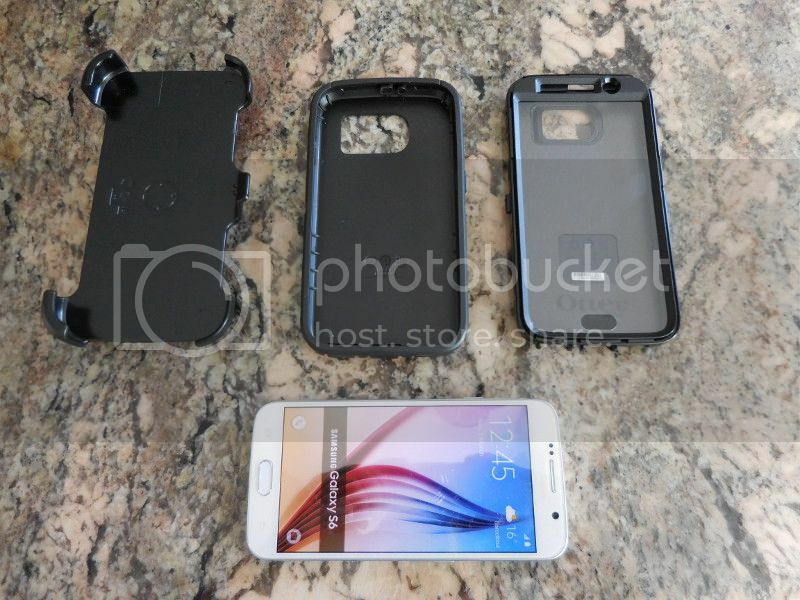 Great case, although it can actually be a bit hard to take off when i want the phone in my pocket without the bulk. I am REALLY hopeful that the Preserver Series will be forth coming. Very nice, detailed review. 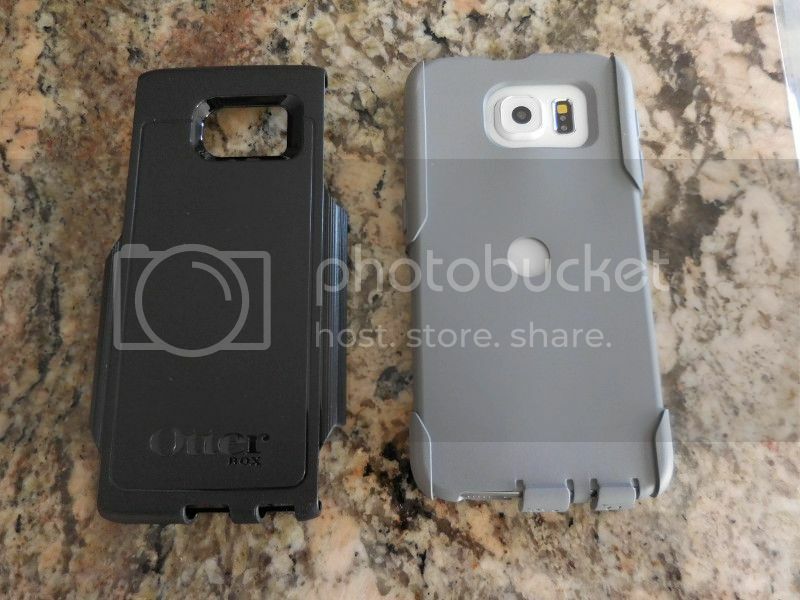 I've always admired the Defender cases for protection but I've seen other people's phones in them and I don't like the way the screen protector looks/functions and I don't like the feel of the commuter because it is so slippery. I'm pleased with my Commuter case so far. Although there was no film protector in the box it didn't matter since I'm using a tempered glass protector. It doesn't look to sharp. 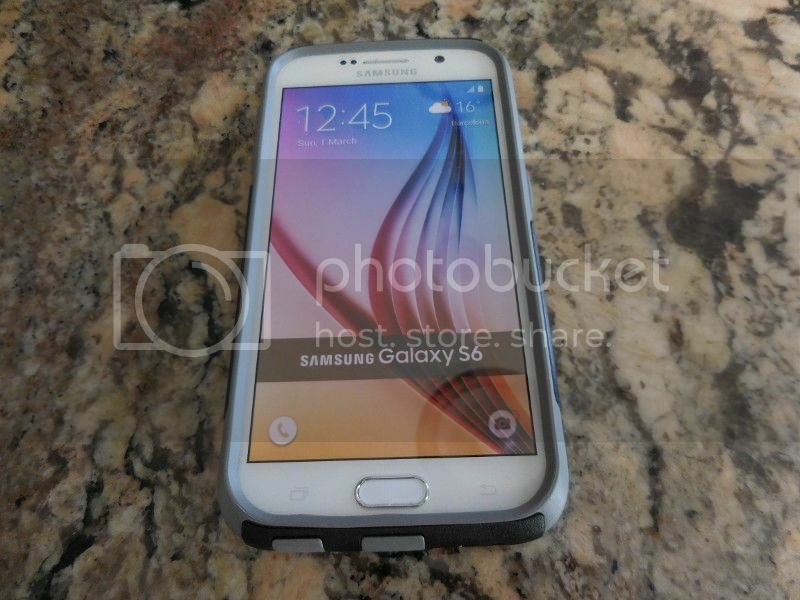 It actually makes that S6 look like a generic phone to me. Leather would look better I'm sure but offer less protection in the long run . I wonder if it is possible to come up with a new case design??? 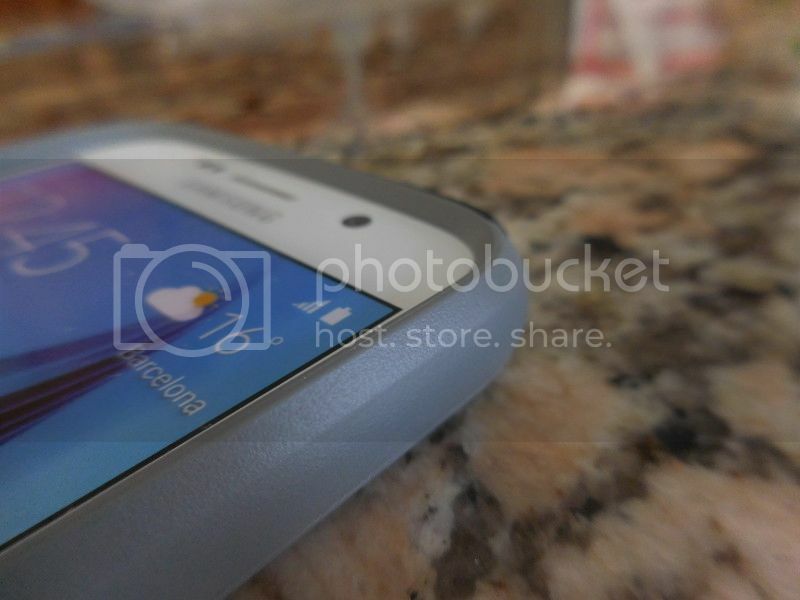 You know, something that compliments your phone and doesn't make it look like a phone in a box.